In 1835, while attempting to dig a duck pond, a man named James Newlove and his son Joshua discovered a peculiar hole in the ground. When Joshua crept down inside he entered over 70 feet of winding underground passages at the end of which was a much larger chamber and, within that, something that resembled an altar. 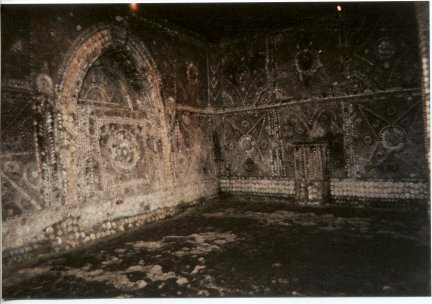 All of the walls were covered in an exquisite tapestry of shells, since found to have been stuck there with an adhesive that is based on gypsum and volcanic elements. Over four million cockle, whelk, mussel and oyster shells formed various patterns of mosaics, with images of the Tree of Life, phalluses, gods and goddesses, the horns or a ram, a three-pointed star, as well as the sun and the moon. Mr Newlove soon decided to tap into the commercial potential of such a dramatic find, and by 1837 the first paying visitors arrived – and with them the debate commenced as to origin of the caves. Some people thought they must have been an ancient pagan temple, some the home of a secret sect, while others were entirely convinced that they must be some Regency folly. But such follies were built on wealthy estates and Mr Newlove’s grotto was discovered beneath common farmland. And then, there is also the fact that had the grotto been constructed during the 1700’s then surely some record or map would remain – not least with regard to the enormous industry involved in excavating the long passages and creating all the shell mosaics. And yet, there was no local knowledge regarding the grotto’s existence. In 1999 English Heritage commissioned an investigation, its only conclusion being that the grotto was unlikely to have been built during the Victorian period. Carbon dating was attempted, but failed owing to the build up of soot on the shells from the use of many oil lamps during Mr Newlove's tours. Later, in 2001, Mick Twyman of the Margate Historical Society tried to unravel the enigma. He observed that just before the arrival of each spring equinox, the sun enters the underground realm through a dome with a circular opening that acts like a pinhole camera. As the season goes on the ball of light reflected on the temple walls grows larger and continues to move over certain ‘lines’ or bars in the shells, as if a solar calendar. At midday on the summer solstice, the light resembles an egg that glows in the belly of a mosaic snake. At that point it is reflected up into square apertures built above the grotto’s three distinct passages – and that light is then bounced down to shine on the altar that is built within the 'temple' chamber. By the use of these phenomena and complex mathematical calculations Twyman was able to show that, allowing for a ‘creep’ of 1% in the Equinox angle that occurs every 72 years, the construction date for the grotto would have been around 1141 AD. Well, whatever you think about the above, the fascinating research goes on and, meanwhile, the Grotto has given Grade 1 listed status. And although it remains in private hands it can still be visited today. More information can be found on the Grotto's official website. Labels: MARGATE SHELL GROTTO. KNIGHTS TEMPLAR. I love the shell grotto - and I especially love the way it's in the garden of a private house. It's the antidote to the bombastic English Heritage presentation of other sites of historical interest (dare I even mention Stone Henge). Hard to believe it was up for sale in the mid-90s, including the attached house, for around £150k (or so I'm told by a friend who nearly bought it!). An enlightening post, thanks! Really, Betty - how incredible to think it was up for sale for such a relatively small amount! I think I might have tried to buy it too. As usual, a fascinating story. I will have to pull out my medievalist credentials and pour a bucket of cold water on Twyman's article. There were no "Templar/Mason" buildings in the twelfth century, nor was there any real link between the two groups. No Templar building would have lacked Christian symbols. It looks lovely and fascinating, but modern, to me. What a fabulous grotto, and an even more fabulous blog! I'm pleased to have found you via Nicola Morgan's blog. I'm fascinated with the Victorian era too, so will find much here to interest me. Thank you, Womagwriter - so glad that you found the blog. I also came here after reading your interview on Nicola Morgan's blog. 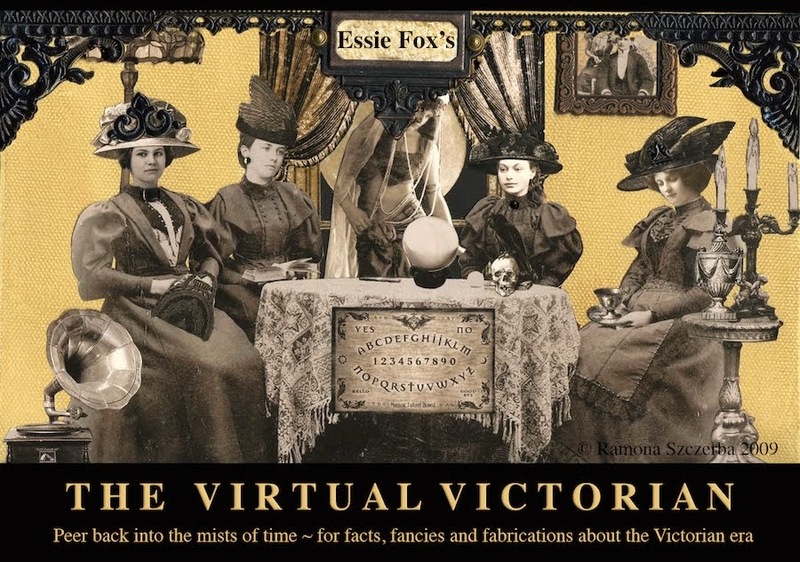 You must have had so much fun researching the Victorian era; the posts here are fascinating. A bit more research into how the shell grotto came about and you'd have the basis for another novel right there. I always make a point to insult Dan Brown in all my classes, in fair retribution for what he has done to the art of history. love love love that grotto. My good friend Jon Madden sent me the link to your site; my only complaint is that there's just too much on here. I will have to keep dipping in as and when i have time. Jacqueline - I feel very envious. What a wonderful place to play as a child. 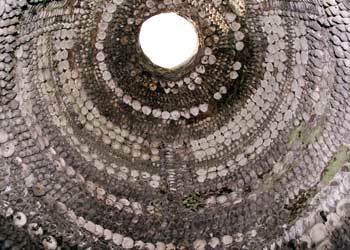 The background information on this blog is useful as I am visiting the Shell Grotto today to take some photos. Wonderful. I envy you but do wear something warm! Very cold today. 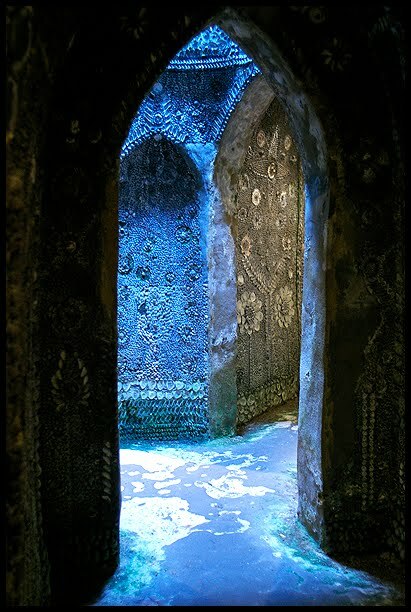 I have only visited the Shell Grotto once, in October 2011- still can't get the wonderful, beautiful, mysterious place out of my head!!! I am trying to do a project on it for my school work and my personal enjoyment, but to do this properly, i need to return there! 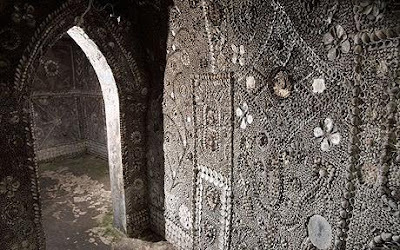 I love the Shell Grotto and was bought up just up the road (Approach Road CLiftonville) , I went to visit at least once a week as a child .My parents still live up the road and although I am in Norfolk now I visit the Grotto EVERY TIME I go to see them. I wish I could own it and look after it .. It is a very precious place and beautiful..
How wonderful Lesley. A real part of your life. It's magical, isn't it. Larlie...I hope you can go back there. I also want to. 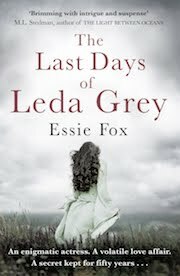 I had a look at it Essie- wonderfully atmospheric place, and hard to compare. The point about expensive follies on great estates is interesting- Pope's Grotto in Twickenham was of course the basement of his house, but Williamson's tunnels in Liverpool is a comparably eccentric exception being cut from sandstone by labourers after the Napoleonic wars. Margate is nothing like as large, or complex, but excavated with considerable labour, and the ornament is astonishing. On close inspection, I found that Welsh slate is one of the apparently original materials used with the shell ornament. Welsh slate was first exported in quantity (i.e. as far as Kent) only after the 1770s. My observation on the slate and Williamson's Tunnels as a comparator doesn't discount the possibility that the original cutting of the tunnels into chalk is seventeenth century (Wilton had a grotto in the 1630s), or medieval(very much like Royston's C13 cave) or even- imagine!- Roman Mithraic, but the ornament itself seems to be a firmly post-medieval (non-Christian) abstraction. Absolutely wonderful, Jonathan! Thank you so much for that information. So kind of you to take the time to post it here. It really is an amazing place, Stephanie. Having been a 'Thanetian for most of my childhood, I grew up on a tale about how the Grotto was haunted by a Benedictine Monk - I know of this as my Mother visited as young woman with her Mother and she will testify that she was beside the rotunda and he peered around the column and she smiled at him under his cowl. Has anyone any similar tales or fables about him in the Grotto? Thank you - how fascinating. I hope if anyone else has had a similar experience, or knows of others who have, that they'll let us know. 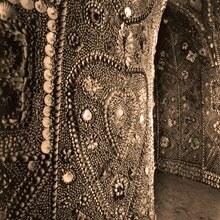 I love the Shell grotto. I've visited it many times over my childhgood and again a couple of years ago with my boyfriend. It is such a mystery and so evocative. Thanks for the great post, I've learned some new things about it today! I visited the shell grotto in May this year and can confirm what others have said on this site - that it is quite extraordinary and takes the breath away. The current owner is passionate about the grotto and has gone to extremes to ensure that it is restored and preserved for future generations. The mystery surrounding its age and purpose only increases the interest of those who visit it. As the owner says, one day someone will unearth a drawing or document that refers to the grotto...perhaps lying in a box of museum papers in a far off place or simply in someone's attic. Sadly the historical papers relating to the grotto that were kept in Margate library were ' lost' when the library moved to new premises. Such a shame about the documents being lost. Heartbreaking really. But I'm so glad you enjoyed your visit, Philip. I hope to go again. And Gemma, it is magical. Thank you for commenting. 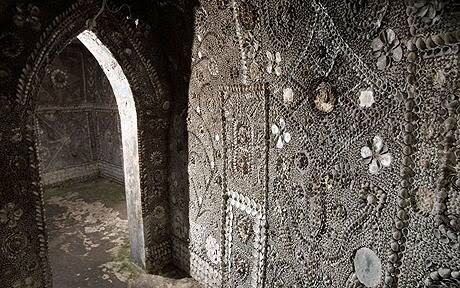 I read the story "On of the world's wonders" about the shell grotto in the Victorian novelist, Marie Corelli's book "Cameos". She is one of my favourite authors. I will visit the grotto one day. My great great grandparents (Mary Anne and Charles Shipway) owned the grotto in the mid 1800s. Sally, do try and visit. It is quite small but truly magical. It sure is gorgeous. Maybe it was part of a Roman Villa, after all the villas of wealthy Roman could get elaborate. It would be wonderful if that was the case. Couldn't resist making a comment ;) Visited the shell grotto, and loved it, especially as the James Newlove in question was my 4th great uncle. Amazing place, thank you for the story. How amazing Jacky. It's a wonderful treasure.